From purchasing a home to welcoming a new child, life is series of constant developments and surprises. Risks often arise with these impactful events, as well as a newfound desire to protect the things most important to you. At Richards-Walker Insurance Agency, we offer coverage solutions personally catered to the clients we serve. From our location in Urbandale, we have assisted residents and business owners throughout Central Iowa for nearly two decades. Our agents are caring, experienced, and determined to safeguard you and your loved ones from risk. Our personal insurance program will deliver peace of mind that the essentials in your life are fully protected. 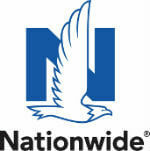 We specialize in the two types of insurance that apply to nearly everyone: home and auto insurance. With home insurance, we offer a wealth of options to secure homeowners and renters against unexpected and costly exposures. From homeowners liability to property insurance, agents will guide you to the proper policy. The customizable coverage extends to auto insurance. Agents filter through a variety of options, such as liability, collision, and comprehensive coverages, to determine the plan most suitable to each driver. With the added assurance of roadside assistance and 24-hour customer service, we’ll keep you protected on and off the road. Clients also have the ability to bundle their home and auto insurance choices into a multi-line policy. This is something we recommend to clients based on the fact that it can save them money and open up additional plan options. To learn more about the insurance offerings available to you, speak with an agent today. If you’re ready to go now, feel free to request a quote. As an independent insurance agency, we have the ability to address the individual coverage requirements of each client. We maintain the flexibility necessary to meet these needs, while providing access to a selection of the most trusted national carriers. We combine their resources with our dedication to thoughtful, hometown service and 55 years of collective experience. Our procedure begins with identifying the best coverage for you. Once we know what it is that you’re looking for, we write a fitting policy. Services extend beyond the purchasing process, with agents providing consultations on a one-on-one basis to monitor coverages and ensure rates remain competitive. Just like you, we live and work in the Des Moines area. Our perspective as residents and local business owners allows us to relate to the clients and community we serve. We treat our clients like family and look forward to welcoming you aboard.